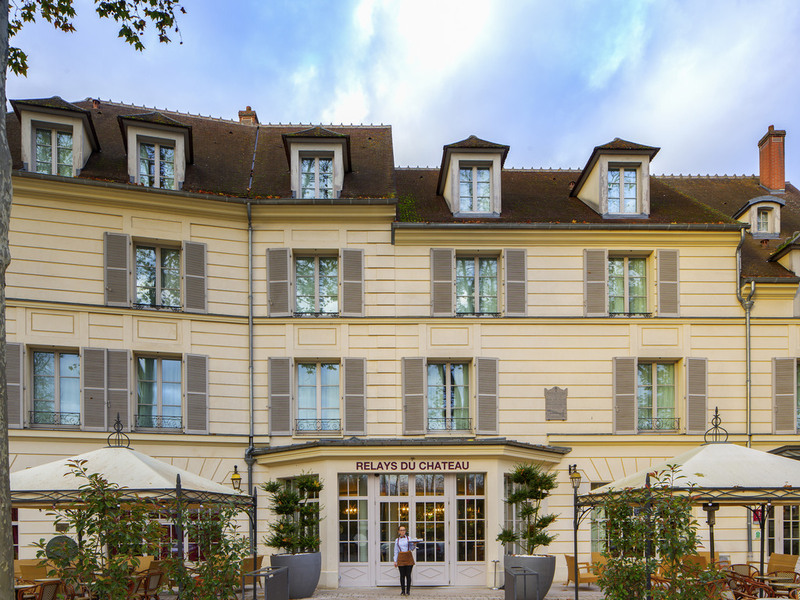 Situated in the heart of Rambouillet just 10 metres from the park entrance and chateau lakes, and 10 minutes from the A10 Versailles-Chartres road, the Mercure Rambouillet Relays du Château is an old 16th century coaching inn. The hotel offers well-appointed, air-conditioned rooms. After a hectic day of business meetings or sightseeing, come and relax on our restaurant terrace. This is an ideal venue for both business events or family breaks. Discover our different room categories from standard to the junior suite to the privilege room, differing in terms of area, comfort and ancillary services; some with a view of the Castle. Book our standard and privilege rooms with double or twin beds for yourself, as a couple or with friends, as well as our connecting rooms for family stays. Enjoy our junior suites for an exceptional stay! Come and sample our regional dishes made with local produce in elegant and inviting surroundings. We look forward to your visit! A friendly, welcoming place where you can meet up with friends or colleagues any day of the week. Our terrace is available all year round! The staff have to work in an intolerable crush. The entrance was dirty often. we were put in an adapted room with a shower that we had to kneel to use. The toilet roll kept falling off the silly holder, the mechanism to close the plug in the sink was missing. there was not enough coffee/tea. Reception wouldn't look for an adaptor so we could charge our phones. Building work went on into the evening. We had no problems we have used the hotel before and is perfect for our trip down to the south. Beautiful and relaxing room experience! We loved the plush room overlooking RAMBOUILLET town hall square. The additional magnifying mirror in the bathroom was a much welcome touch, as my wife usually needs one for applying her makeup and a lot of hotels do not provide one. Very friendly and professional staff from diverse backgrounds - keep it up! I have only given 9* because the hotel is currently under refurbishment and there was a bit of disruption downstairs, with a temporary reception area & cold corridors. Otherwise, we had an excellent stay and will definitely be returning to Rambouillet! I flew in to Orly from London earlier that day, and arrived in the mid-evening. I was hungry, but then discovered that the restaurant was closed for refurbishment, something that I wasn't aware of when I booked. The lady receptionist was helpful, however, and gave me a couple of local recommendations within a few minutes' walk. I had a meeting early the next morning at my local office, but then was coming back to the hotel to work for the remainder of the day before flying back to the UK that evening. I had booked the 5pm checkout online, but when I double-checked in the morning before breakfast (which was in a temporary room, but was absolutely fine), the reception team saw that there was no request on the system for the late checkout, but again, were happy to help and said that it wouldn't be a problem until 5pm. Of course, when I returned to my room after my meeting in our Rambouillet office, I discovered that I was directly above the room where the renovation work was going on and there was a large amount of drilling/power tools for long periods of time. There was no point in me moving rooms as I was leaving later the same day, so I put up with it. Early in the afternoon, I went downstairs to reception to get a coffee from the machine, as I had used my two instant sachets and cups in my room, but the reception area had been cleared of all furniture, including the coffee machine, so I went without. At 5pm, I came downstairs to check out as planned, but as my taxi wasn't collecting me until 5.30pm and there was no reception furniture, I asked where I could sit and wait. I was then invited to sit outside on the plastic garden furniture under the gazebos. It was cold, the seats and cushions were wet, and - as my taxi was late - I ended up sitting out there for 45 minutes. It didn't leave me with a particularly happy experience of the Mercure this time, sorry. The team were doing their best to be helpful, but really the work was a significant inconvenience to guests. A nice welcome, helpful and very friendly staff and a comfortable bedroom. Hotel is nice and quiet, very friendly people. Very good restaurant regarding breakfast en dinner. Whilst booking I made a number of specific requests ALL were fully and compassionately complied with. The hotel staff were welcoming and attentive making Registration easy. Our meal was excellent though my wife was disappointed not to have the smoked salmon. Breakfast was sumptuous. Our spacious room was warm. I was not impressed by the coffee / tea cups - not classy or even 4*. Checkout was efficient. Overall I felt refreshed ready for the ardour of the Paris traffic. Thank you Mercure! I arrived unexpectedly at the hotel after my TER train had been suspended for 4 hours at Rambouillet and was very grateful there was a room available for me for the night (the Police had said stranded passengers would be put in a gymnasium!). The reception was friendly and welcoming and the room quiet, warm and comfortable. The restaurant stayed open for me to get something to eat too. Thanks to all the staff. As already advised to other media/intermediaries (TripAdvisor, Booking.com) there is nothing to criticise about our stay. Comfort, Quality and Service well up to expectation from an international hotel chain. That said something is missing when the brand and decor is consistently the same. There in Rambouillet is an 18th Century Coaching Inn adjoining a Royal Park and famous chateau, but once inside you could just as well be at an Airport Hotel anywhere in the world. Is it not possible to introduce some regional flavour? I stay at this hotel at least twice a year and it is for me a possibility to arrive somewhere familiar where I am treated like I am at home. Very comfortable. Well situated in the city of Rambouillet. Very clean and very warm service. It is always a pleasure staying here. We were only able to stay one night, so really appreciated the quick service , good food and attractive room. Location of course is wonderful , next to Chateau and Park - the helpful and friendly staff made us welcome -- certainly will return for a longer stay. Stay close to the castle! Well located in the centre and close to the castle! Frienfly staff and spacious room. Wonderful property in beautiful setting. The clerk that checked us in was exceptional. Enjoyed very much the room, the hotel, and the surrounding town. We were in a group for a wedding and we all arrived at the same time. The check in was confused and took long time. We were assigned a room that was not cleaned and the linen was upsidedown. We had to go back to reception and after a long wait, the receptionist was very kind and offered us a priviledge suit. Lovely welcome at reception and we were delighted with the position of the hotel and our ensuite bedroom was lovely after our long drive. The hotel had a very good feel to it and we decided to have dinner there as it was Sunday evening and we did not know if anywhere else was open. What a disappointment, the evening meal was ver poor and would not recommend eating there. However , breakfast was very good with lots to chose. BUT, we had a window seat and in this beautifully decorated room I looked up and the net curtains were grey which let the standard of a four star Hotel down. We loved Rambouillet the Hotel is very comfortable and will visit again as we pass by often. So, I hope that my criricism will be taken well and hopefully rectified when I return. The stay was perfect, some adjustment because the central hall and restaurant were refurbished.